Letters to the Editor: LIGHTS! ACTION! CAMERA! Ever curious about MGM’s iconic shot in their opening credits? Here you go. This was taken in 1928. 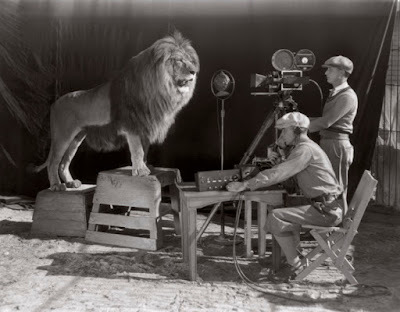 The Lion was named Leo and he was shot roaring on camera. No one was injured during the filming. A little bit of a risk really paid off! The opening credit shot is now iconic.